HomeHappy 1 Year Anniversary Phoria! Happy 1 Year Anniversary Phoria! 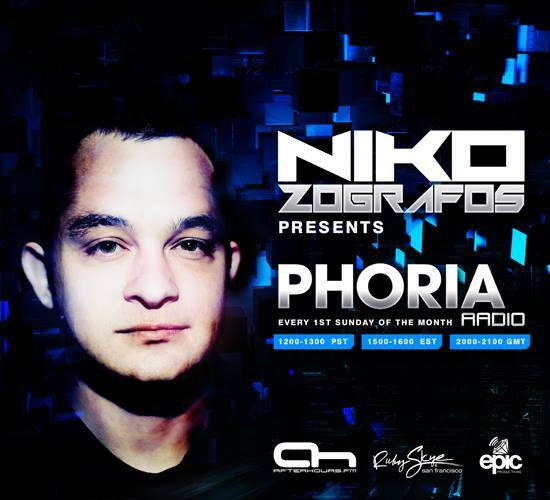 It was one Tuesday a year ago that Niko Zografos started Phoria Events. What started as a dream that a young trance music lover had manifested into a colorful and magical promotion company that continuously brings great talent to the decks in San Francisco’s nightlife. Despite Phoria’s young age, Zografos has brought many talented names to the stage at Ruby Skye and Slide SF. However that momentum doesn’t stop there. 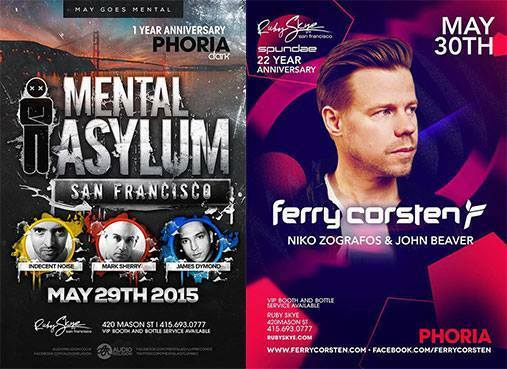 Phoria’s anniversary celebration will be celebrated on May 29 & 30 with big names like Indecent Noise, Mark Sherry, James Dymond and FERRY CORSTEN! In honor of Phoria’s 1 Year Anniversary, we bring you Phoria Radio‘s very first podcast featuring our very own Niko Zografos! We were close to 1,000 listeners on just the first episode! Phoria Radio will be airing every 1st Sunday of the month on AH.FM at 12pm PST, 9pm CET. Also, be sure to party and celebrate with us the last weekend of May for the first of many birthdays!